Gregory in the foreground. Not the biggest duck, nor the sharpest. There may be trouble in paradise. It is beginning to look like we have a duck lothario in Poultropolis. His insistent advances are not welcomed, neither by the object of his affections, nor by her preferred partner. He is, I’m sad to say, attempting to force himself upon her, but so far he has not succeeded. 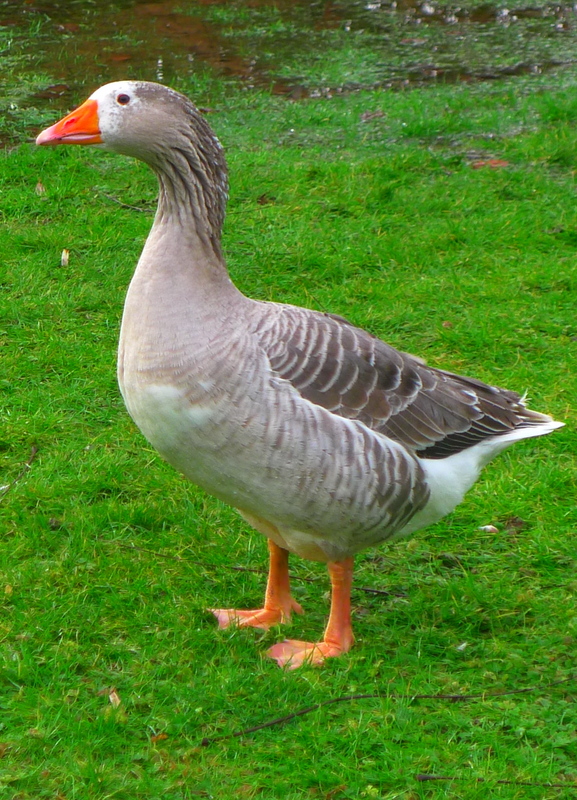 This may well be because she is in fact a goose, and about seven times as big as him. To be frank, watching little Gregory the small runner duck (for it is he) trying to mount Genny the Goose, is rather like watching a dinghy trying to get its leg over the QE2. It’s just not going to happen. However it seems that despite her size advantage, our Genny is a delicate thing, and is deeply bothered by these advances. It is pretty funny to watch a hulking great goose heading for the proverbial hills, with a small but horny duck chasing after her as fast as his little legs will carry him. It has been apparent for some time that Gregory is a rather aggressive sexual incompetent. It was him that did for poor Harry (click here for that sorry tale), and whenever a female duck hoves into view he starts bobbing his head frantically, like an extra in an R&B music video. Much good it does him, they’re just not interested, and they can outrun / outswim him every time. Genny, object of Gregory’s attentions. Maybe he thinks she’s simply Rubenesque? Perhaps this is why he has turned his attention to the goose. Inter-species love (well, lust) in the poultry world, who knew? 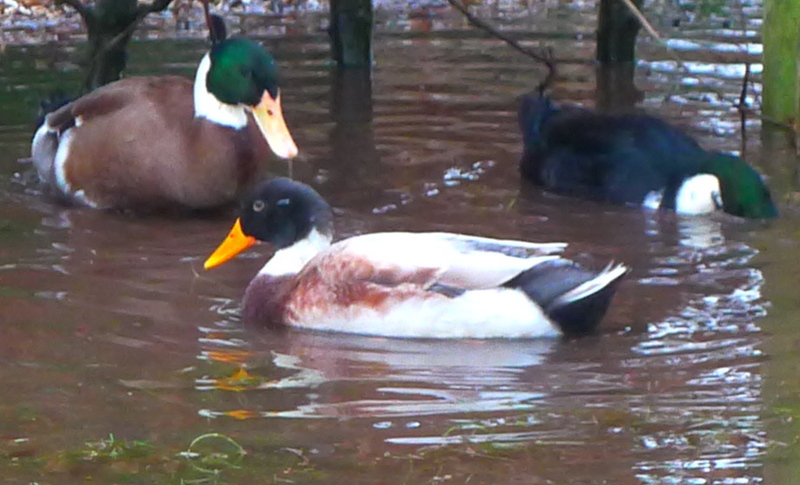 Guy, Genny’s beau, seems to be taking all of this in his stride, although he will give a few warning squawks and the odd peck to any duck that is foolish enough to try to get to Genny when she is hiding behind him. He appears more bemused than anything else. I don’t think there is a future in the match. Quite apart from her having eyes only for her Guy, there is the simple matter of size, and of course, species. There hasn’t been an odder attempt at a pairing since Donkey and Dragon. Unfortunately for Gregory, Dreamworks aren’t involved in this one.